As a visionary tycoon and the fifth richest man in Malaysia, Tan Sri Syed Mokhtar Al-Bukhary is a very low-profile man. He is does not lead an extravagant lifestyle and is still known to be a man who is friendly, remembers his roots and truly charitable. Despite his wealth of RM9.5billion, the chief of the Albukhary Foundation is one man who is always in the news for all the right reasons. Tan Sri Syed Mokhtar only finished his SPM where he worked his way to riches. This makes him all the more significant as he knows what it feels to be poor. Hence, he is always involved in charitable works that include the internationally known Albukhary International University in Alor Setar. This is one unique university which is true to its educational roots. AIU is a fully charitable organization meaning to say that it does not impose any tuition fees. 80% of the students are from overseas where they are accorded with full scholarships. 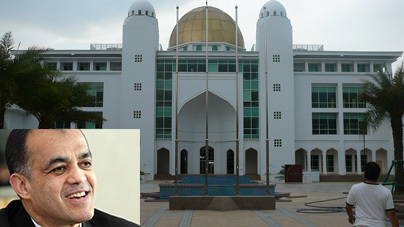 A religious man in nature, Tan Sri Syed Mokhtar prioritizes Islamic values and the university is targeted for the poor and with reasonable academic results. Throughout their studies, students need to ‘pay back’ by offering Welfare and Service activities. Tan Sri Syed Mokhtar is a truly humble man who owns a Proton Perdana and he is said to attribute his success to God and that there are no secrets in his success. He also said that there is no short-cut to success and he is not afraid to ask for help if required. Patience and hard-work are the essential recipe to success. He believes that there is no status in life, one spends equal time on top and below and that where it is concerned and needed, one must be able to acknowledge that someone else is better and we should learn from them.